Augmented reality enhances your reality using either a smartphone or a tablet with Android to iOS. 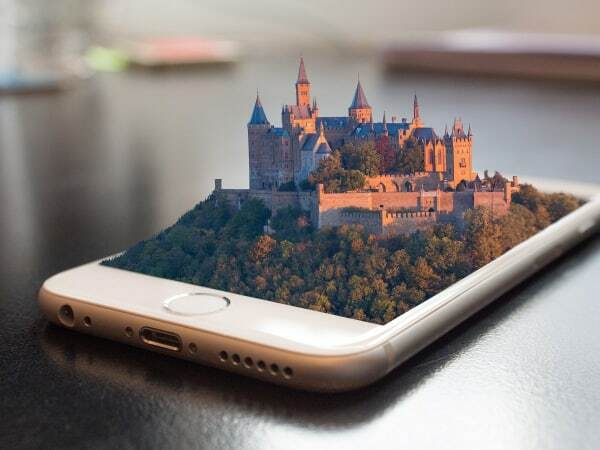 AR apps provide vast possibilities starting from chasing digital creatures to designing complex structures and machines. When it comes to games and entertainment the unlimited potential of augmented reality is revealed to a full extent. Educators make use of the possibilities offered by AR to encourage learning and make it more interactive. Business-people can benefit a lot from custom iOS app development helping the business go mobile. Such apps are growing in their popularity providing new possibilities and excellent user experience. The selection of augmented reality apps is wide. Here are some of the best AR apps available for Android and iOS. Civilisations AR from BBC brings art and culture from across the world to you. It enables you to admire Renaissance masterpieces and more than 30 historical artifacts while locating, sizing and rotating them as you see fit. When you first start the app, the BBC offers you a tutorial & guides you from scratch. Mondly offers you one of the best ways to learn a new language on the go. You can choose from 33 languages! Crowned “App of the Year” 2017 by Facebook, it is the first AR app with chatbot and speech recognition. The AR side of Mondly will turn your language learning into fun. Your phone works as a lens with the help of which you can explore and interact with the new world created within your own. Pet the cat and it will meow, tap the guitar and it will play a song. Never before has learning been so interactive! The chatbot experience from Mondly is close to real interaction. Conversations with a virtual language learning assistant take you closer to flawless pronunciation and fluency. Amikasa is a room designer tool that helps you to build, decorate and restyle rooms using furniture, wall colors and flooring from real brands. Take a camera, walk around any room you decide to furnish and place 3D models of different items to see whether they look good exactly in that place or whether the color you have chosen suits the best. The name-brand items Amikasa uses can be bought while using the app. Moreover, if you are not sure of the style, you can share your augmented room with your family and friends through the app. Widespread Augmented Reality is an augmented social app that allows sharing information by tagging a location. Right after signing up on the app you will be able to search for any publicly accessible geotagged locations in the vicinity which are marked with a green bolt on the map. This app is indispensable when you are travelling with friends and you want to leave messages for one another in different places. Using this app and geotagging your location is better and simpler than texting your friends where you are especially while travelling. With Widespread Augmented Reality you shouldn’t fear losing one another when you split up. My Augmented Reality helps you to keep track of where the places are. This app allows you to geotag important locations once you would like to revisit. Knightfall AR is a game that puts players into the shoes of knights who defend Acre from enemy warriors. Battle strategy is the genre of games best suited to AR. What you should do is to place the battlefield on any flat surface not far from you and your viewpoint acts as targeting reticule that lets you fire at the enemy making way towards your walls. Ghost Snap is a horror game that uses augmented reality to give a good scare to the players. You use your phone camera to find the cubes. Shortly after you start to move around rotating your camera, you’ll see elements on the screen that are not there. Your task is to snap images of ghosts or even more creepy creatures. It is recommended to play it with headphones on as you will hear annoying sounds that only add to the scare. There is no way to win this game. It’s just a matter of survival as long as you can!